XBS has been making an effort to do more tech related stuff this month. 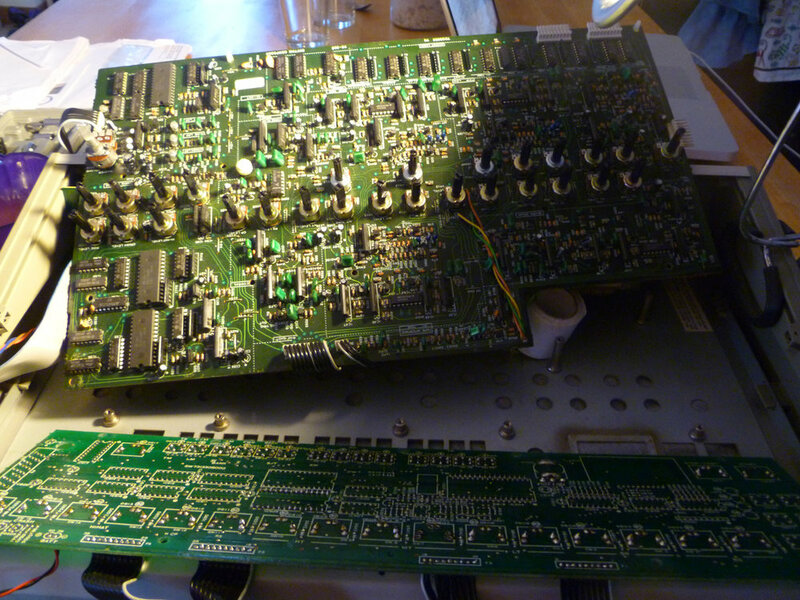 In for repair today is a Roland TR-909 in messed up shape. Someone had tried to refurbish it and made most of it's age and design related problems worse! 1, The main drum switches were replaced which is nice but they were installed sloppily and so out of true that the buttons don't fit in properly. On further investigation the problem was often the fact that too much silicone was used to glue in the drum switch LED's so that the switch didn't fit flush to the switch board PCB. So, I have to say that this is one of the most annoying designs ever conceived by man from a standpoint of repair and maintenance. The boards barely fit in on top of each other inside the case with some long shaft pots going through the switch board from the voice board. Everything needs to be taken apart to get to the switch board and that's the one that gets the most abuse! The switch board is also where the CPU and OS live, right next to the buttons all the 'house music' dudes are banging on. 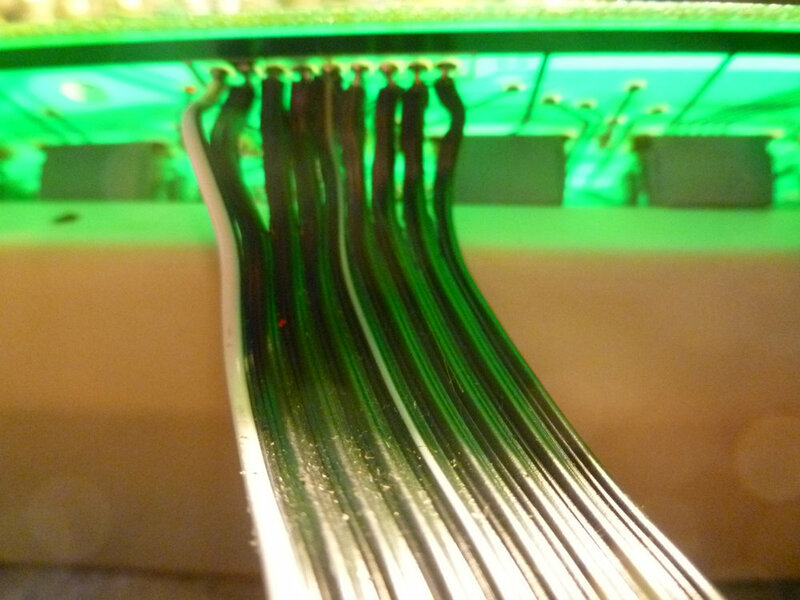 The ribbon cables are soldered to the PCB on one end and have connectors on the other. I wish they were connectors on both ends so you could replace a cable or work on a board without having an octopus of cables to be mindful of. They also barely fit in the case around the boards that are barely in there to begin with. The drum switch caps are so flimsy i don't know how they were ever on there solidly in the first place. And the OS is pretty clunky and unintuitive to make music with. Nothing like the OB or Linn ideas in language or execution. It does sound Great though. 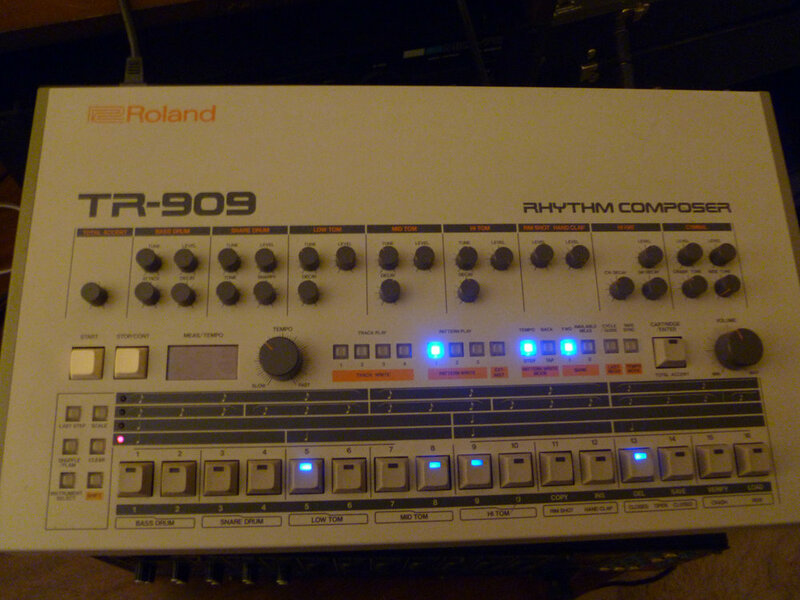 I just wonder how this was designed when all the Roland synths of that era that i've been inside are immaculately designed and completely modular for maintenance purposes! Who knows!